Happy Saturday snarky friends!! 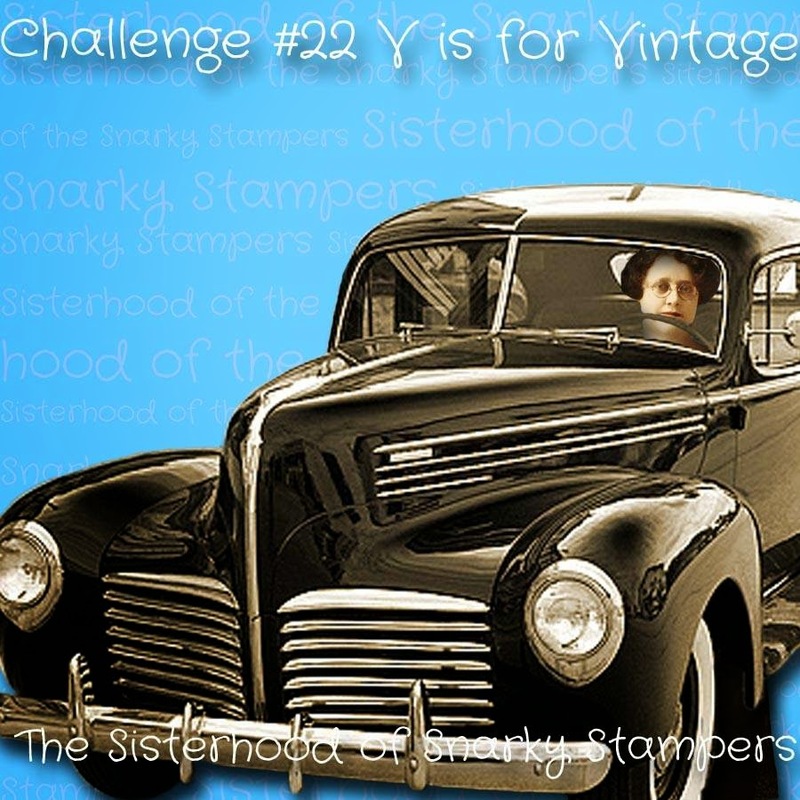 Super excited that it's time for a new challenge from the Sisterhood of Snarky Stampers!! This week Edna and the sisters would like you to get your vintage on. Visit the SoSS BLOG for all the details on the challenge and to show my sisters some crafty lovin! 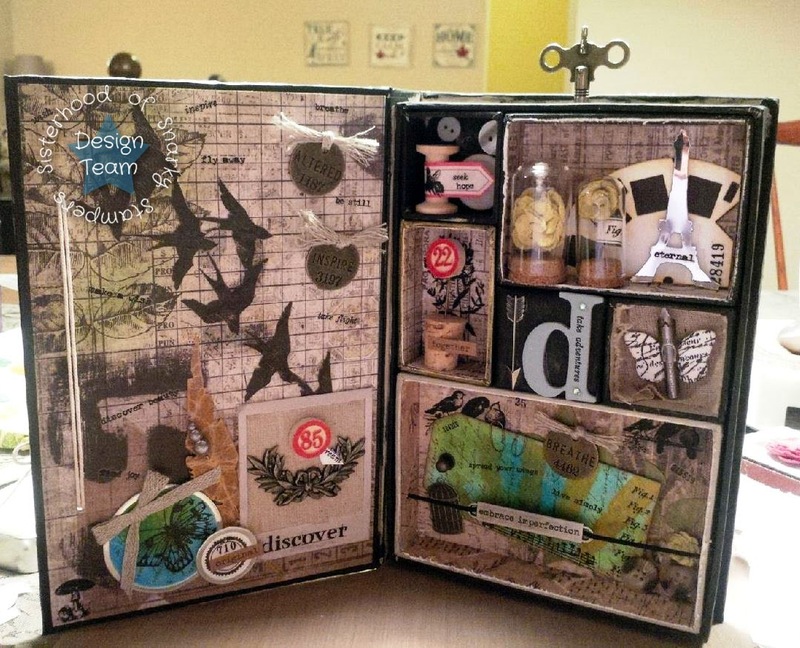 For me, nothing says vintage / shabby chic / serious awesomesauce quite like the amazing TIM HOLTZ...yes, we all know he is my (not so secret) crafty crush! 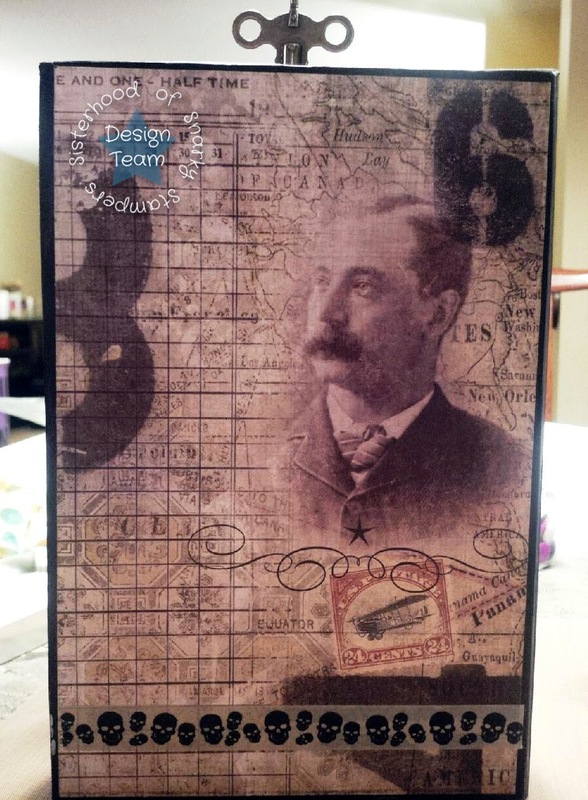 I was lucky enough to attend a class recently taught by the super talented VICKY BOUTIN and we made a very cool vintage configuration box project using Tim Holtz crafty goodness!! This. Is. Amazeballs!!! Seriously, just look at all the detail!!! (and look, there are skulls on the back side!) LOL! Love your vintage box, it's very interesting. Man I wish I had the patience to do something like that. LOL Love it, I want to put photos in mine so have to print some out first. Great project! I need to steal the idea of the file binder cord and the word plate. 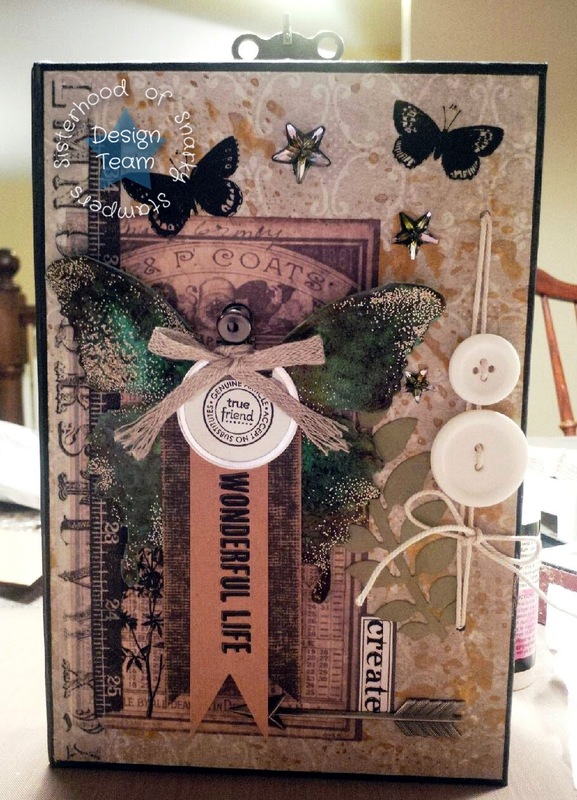 Wonderfully vintage! So. freaking.awesome! The winding piece on the top...clock key? That thingy! !